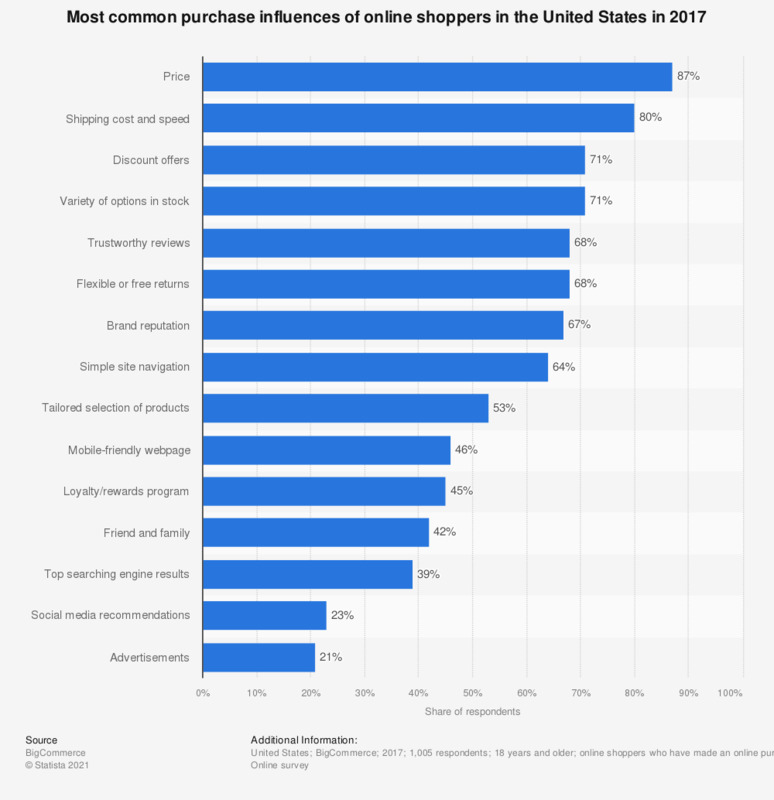 This statistic presents the most common purchase influences of online shoppers in the United States as of 2017. According to the findings, the strongest factor to influence online shoppers was price according to 87 percent of respondents. Coming in second was the factor of shipping cost and speed, as stated by 80 percent of respondents.